Mechanical keyboards are all the rage among the Twitter Technorati these days, and it seems you can’t call yourself a writer anymore unless you have a keyboard that sounds like low-level cannon fire every time you press a key. Unfortunately, the current crop of mechanical keyboards may very well leave you cold, with most of them tending to be huge metal behemoths that you could land a fighter jet on without too much trouble. Thankfully things are starting to change, and we have a prime example of that for you here with the Keytron ultra-slim wireless mechanical keyboard. Currently available via Kickstarter, a project that has blown past its goal by a huge margin, the Keytron keyboard combines the mechanical feel that people love with what looks like the kind of svelte, well-built keyboard that Apple would perhaps come up with if it was in the mechanical keyboard game. 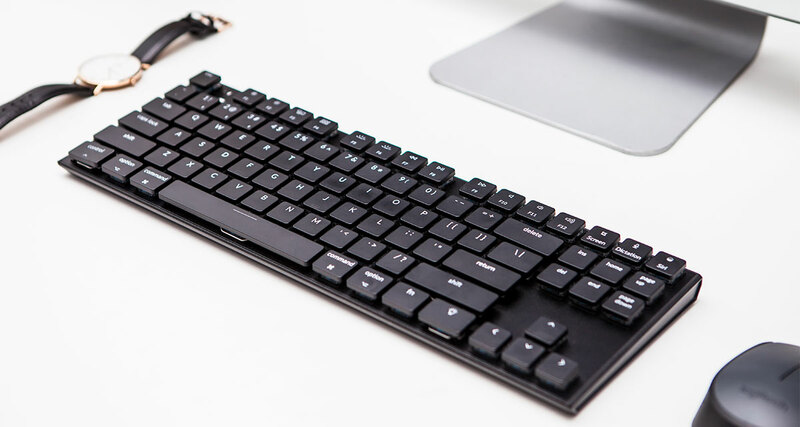 Available for both Mac and Windows, as well as 87 and 104-key configurations, this keyboard definitely looks the part and for your $69 or $79 depending on the options you want, we don’t expect you to be disappointed with how the keyboard looks on your desk. Oh, and did we mention it has RGB lights under each keycap? Because you can’t make a mechanical keyboard unless it also tests you for epilepsy, apparently. Snark aside, we’re super interested to see what the Keytron keyboard feels like in use. The Kickstarter page certainly talks a good game. The Keytron is designed for productivity as a typist’s dream. After testing of more than 25 keyboard models, we are bringing all desirable features to a single keyboard; an ultra-thin body (18mm) and switches for a great tactile feel. 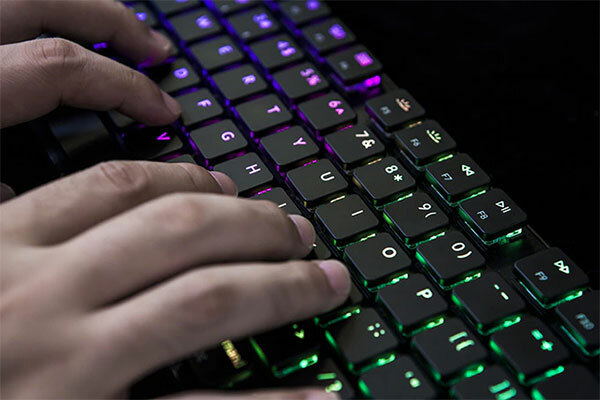 Compared with other mechanical keyboards, it requires less force and uses less finger travel, which reduces finger fatigue and provides an unmatched typing comfortability. Tactile feel – Less finger force and travel which reduces finger fatigue! Ultra-slim blue switch – 35% thinner than traditional switch contributed to its ultra-slim body with only 18mm. 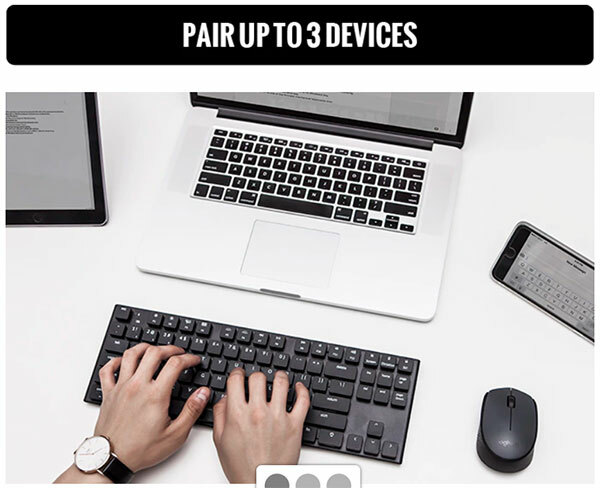 World’s first mechanical keyboard with one key activate Siri or Cortana. Mac layout – the layout is exactly the same as a Mac keyboard and has the same Mac function keys. Wireless – 95% of all the mechanical keyboards on the market are wired. Keytron is wireless. One-piece aluminum front and back panel housing. Available in 87 and 104 keys. We’ll be getting one of these in for review as soon as we can, so keep an eye out for that if you’re a fan of mechanical keyboards but don’t want a monster sat on your desk.